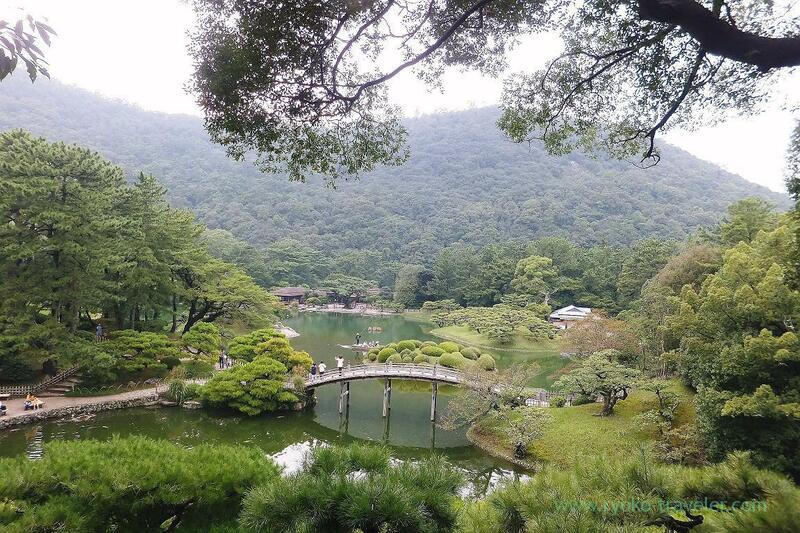 I had never known such a beautiful garden like this. 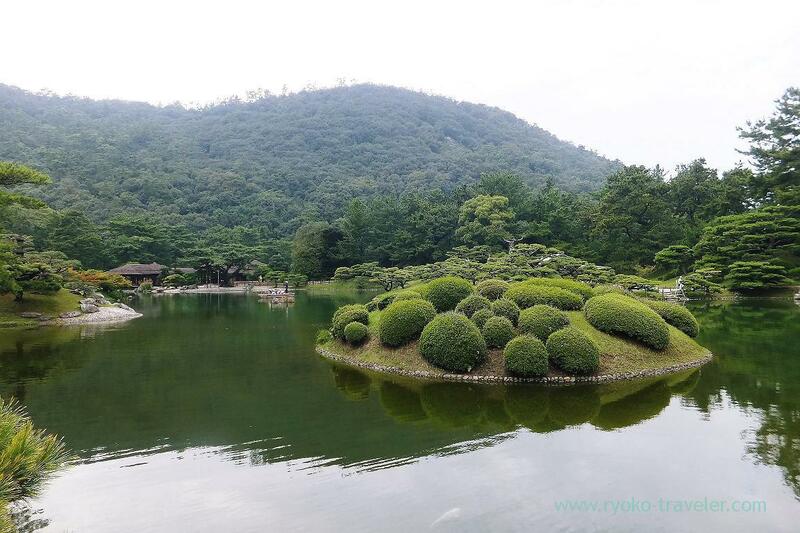 After we left Ikegami Seimensho, our bus took us to Ritsurin garden close to Takamatsu station. 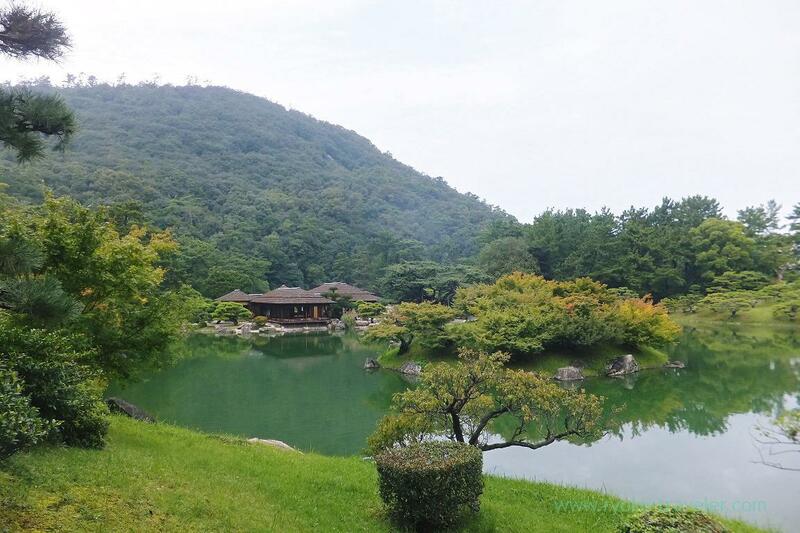 Admission fee of Ritsurin garden was excluded in the fee of the udon tour (410 yen for adult). We had one hour or so to stay there. 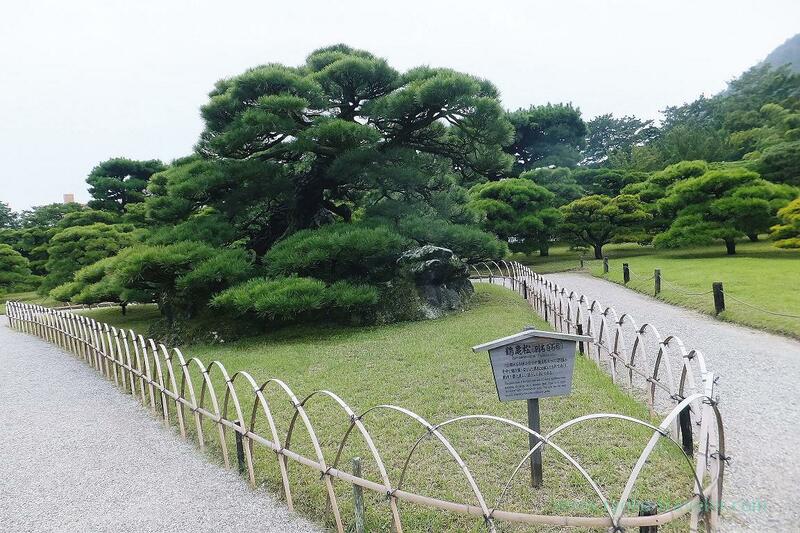 As soon as we entered the park, this splendid pine tree was in our sights. 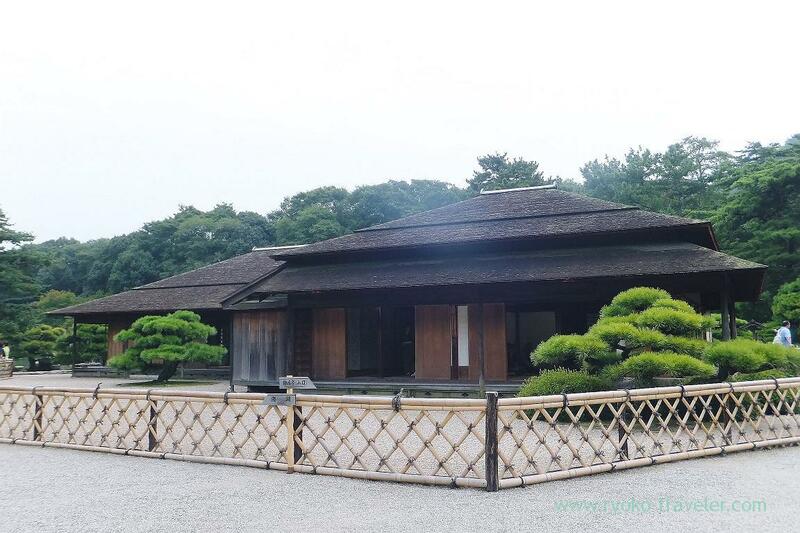 Ritsurin garden have the word “chestnuts” in its name, but now there are no chestnuts and there are large number of pine tree in the garden. It attracted me last time, too. 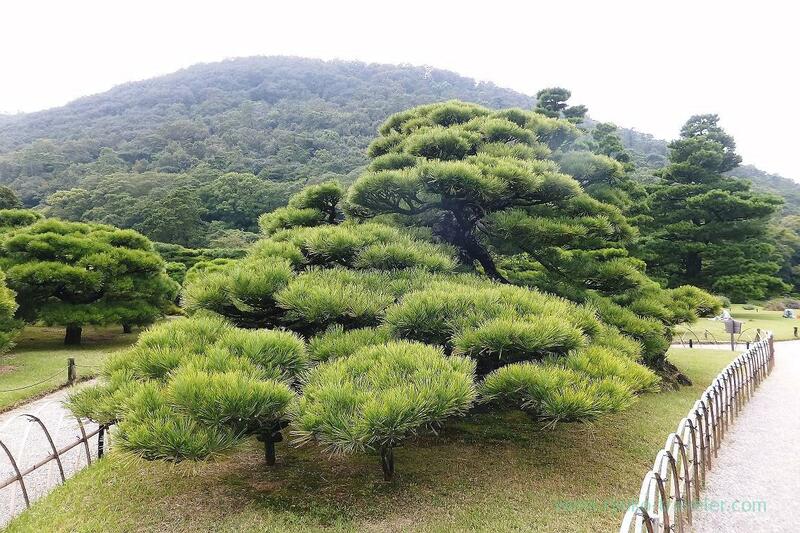 “Tsurukame matsu” is said to be the most beautiful pine tree in the garden. Its back was magnificent, too. 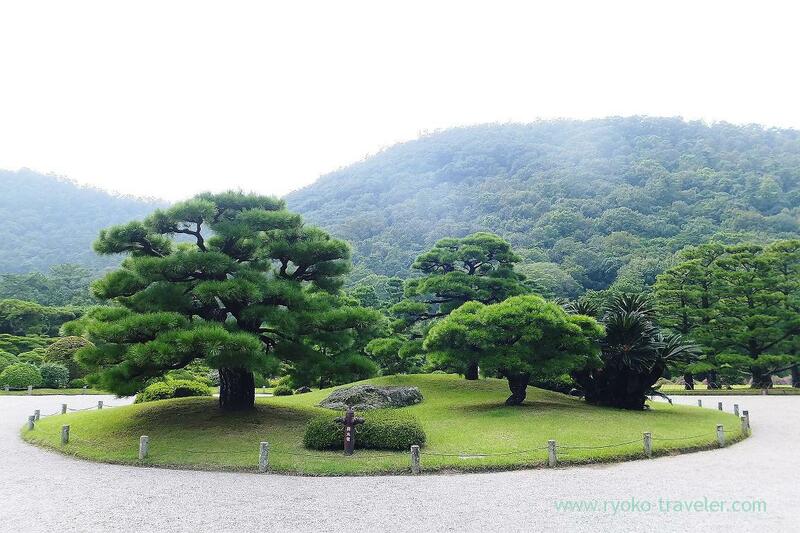 This garden is beautiful looked from artificial hills. From Hiraiho hills. Thanks to Mt. 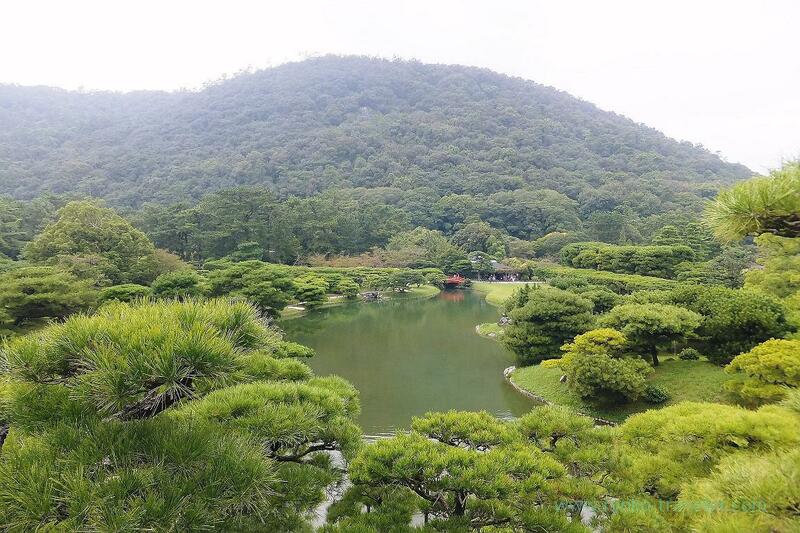 Shiun in the backs, this garden have more magnificent views. Only one hour is too short to see the garden all the same. There’s also garden on the north side. If you go there, too, you need about three hours or so. 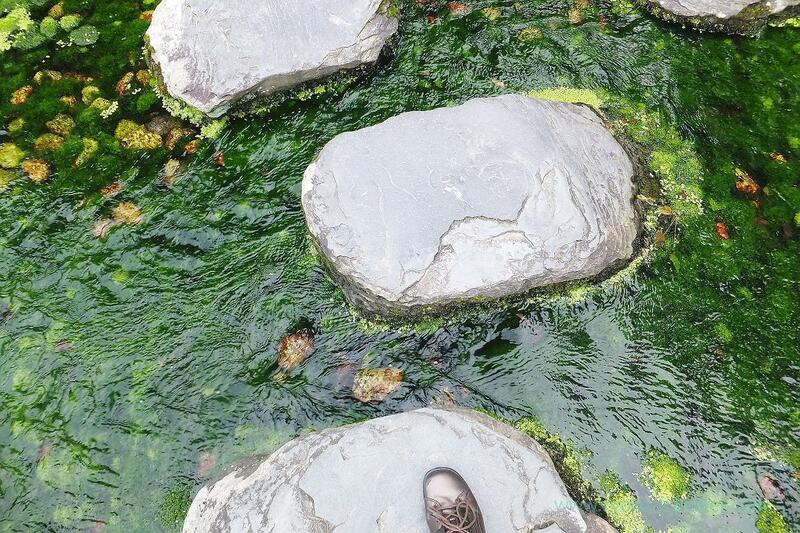 And I recommend you go there early in the morning if you enjoy the garden to the full. 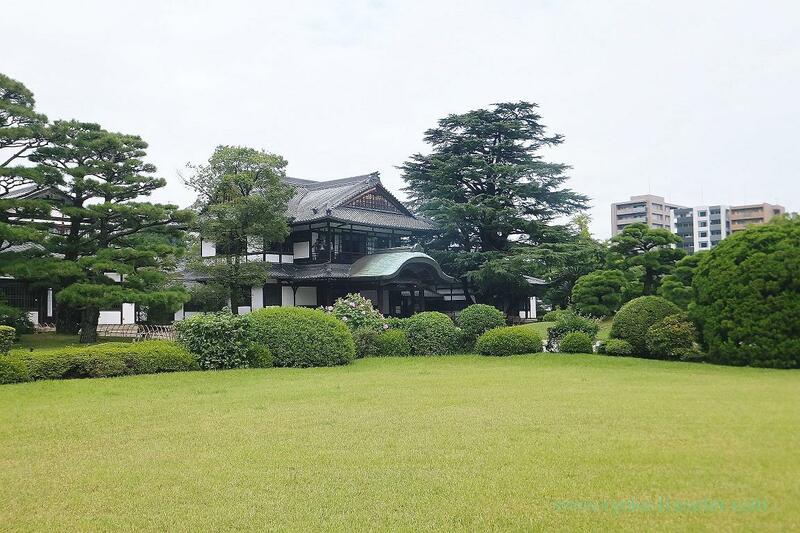 In the morning, the garden is calm and there are few people. 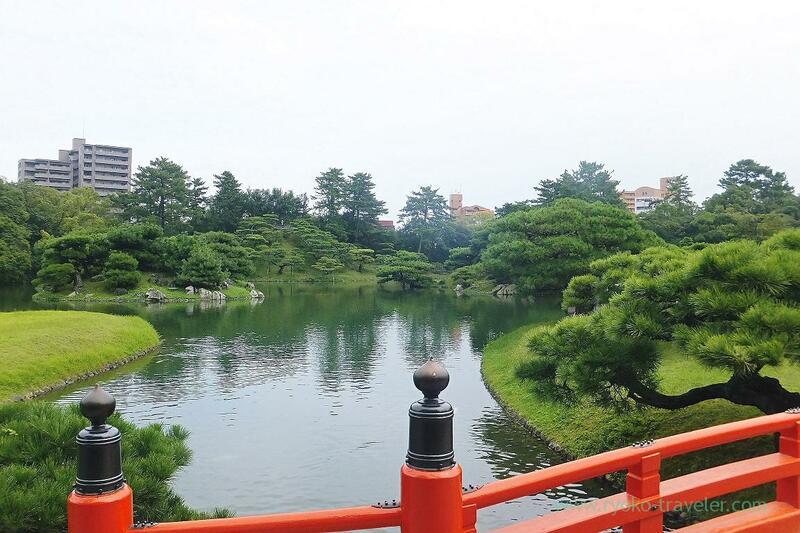 Japanese gardens are always so beautiful.